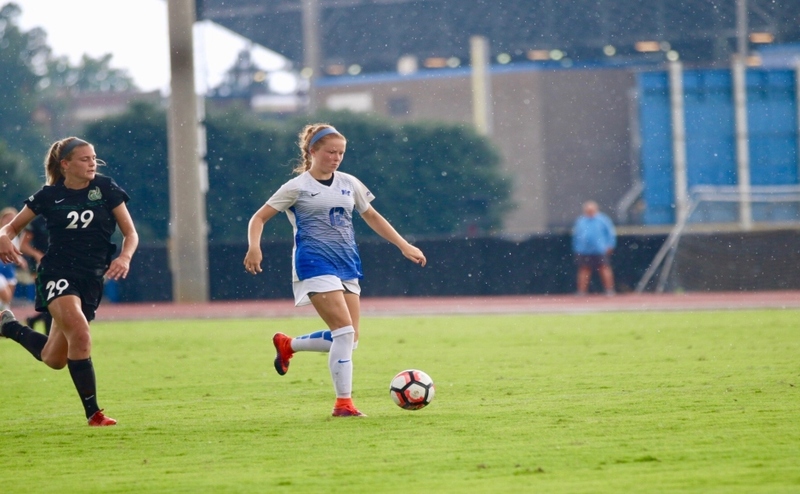 The seventh-seeded Middle Tennessee Blue Raiders (8-10, 5-6) faced off against the second-seeded North Texas Mean Green (13-3-3, 8-1-2) on Wednesday down in Boca Raton, Florida in the quarterfinal round of the Conference USA Tournament. 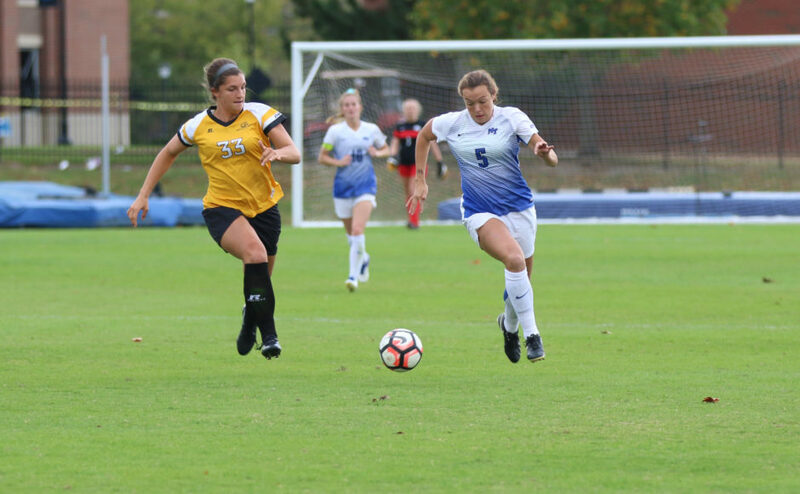 After scoring an early goal, the Mean Green ran away in a 4-1 season-ending loss for the Blue Raiders. 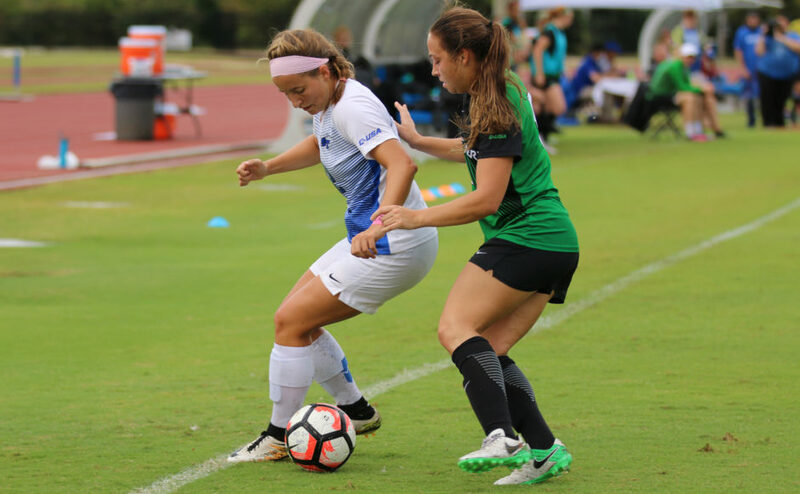 Ever before Middle Tennessee could get settled in, Brooke Lampe found the back of the net to put the Mean Green up 1-0 in only the second minute of the match. Unfortunately for the Blue Raiders, it did not take long for North Texas to score again. This time it was Taylor Torres, who scored her first goal of the game in the 25th minute to put the North Texas up 2-0. 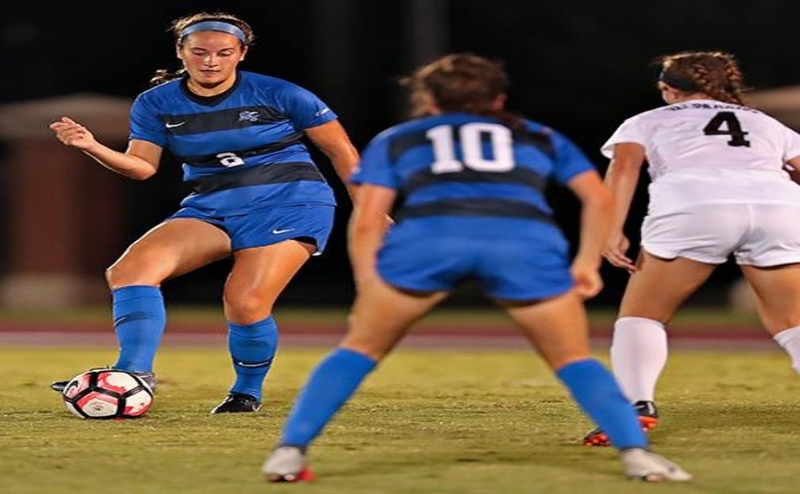 After falling behind, the Blue Raiders finally came up with something offensively. On a set piece give and go, Carolin Engelhard found Taylor Hatch who found the back of the net to put on the board in the 41st minute. 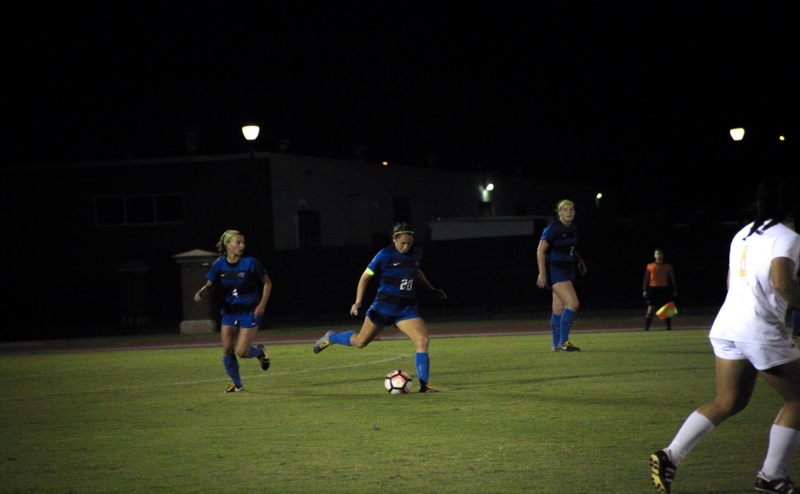 As the first half concluded and both teams headed into the locker room, the Mean Green held a 2-1 advantage over the Blue Raiders. The second half started and North Texas flexed their muscles to show why they are the second-seed in the tournament. In the 61st minute, it was Torres scoring again to give the Mean Green a 3-1 lead. The game seemed to be over in the 87th minute, but Torres had a hat trick in mind. She scored her third goal of the day that gave the Mean Green a dominant victory over the Blue Raiders by a final score of 4-1. Although this loss wrapped up the season, Blue Raider head coach Aston Rhoden realizes that making the C-USA Tournament is a step in the right direction for this young team.